Cardiff missed two stoppage-time penalties as Wolves held on for a 1-0 win that took them a step closer to the Premier League on Friday night. 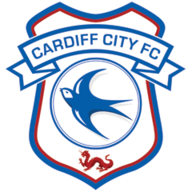 A stunning Ruben Neves free-kick was enough for Nuno's side to secure all three points at the Cardiff City Stadium, but the Bluebirds had two glorious opportunities to nick a point at the death from the penalty spot. First it was Gary Madine, who saw his effort saved by John Ruddy in the fourth minute of added time, before Junior Hoilett rattled the crossbar with the last kick of the game. It means Wolves move nine points clear of their nearest rivals in the Sky Bet Championship, and 14 points clear of Fulham ahead of the rest of the weekend's action. Cardiff made three changes as Lee Peltier, Yanic Wildschut and Craig Bryson all started. 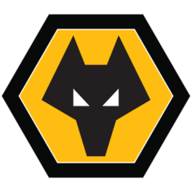 Ruben Neves and Matt Doherty returned from suspension for Wolves and Nuno also handed starts to both Leo Bonatini and Benik Afobe. It was an intriguing first half but there were relatively few chances at either end. Wolves had a great opportunity shortly after the break when Leo Bonatini got in behind the Cardiff defence after some dreadful positioning from Sol Bamba, but he was forced too wide after rounding the goalkeeper and eventually hit the post from a tight angle before the ball bounced clear. After 67 minutes they did take the lead, however. Diogo Jota was fouled just outside the area and Neves stepped up to curl an absolute beauty into the top corner. Neil Etheridge got a hand to it but he couldn't keep it out. All the real drama came in the final few minutes. First Mike Dean pointed to the spot after Conor Coady pushed Anthony Pilkington in the box, but Madine, who is yet to score for Cardiff since his January move - saw his attempt brilliantly kept out by Ruddy. Cardiff came again and Ivan Cavaleiro lunged in wildly on Aron Gunnarsson just inside the box to give them a second chance to equalise, but this time it was Hoilett's turn to fluff his lines. Were it not for the late drama than another virtuoso display from the Portuguese midfielder would have been the big talking point from the Cardiff City Stadium. Everything good about Wolves came through him, and his stunning free-kick was eventually the difference between the sides. Nuno: "It happened at Middlesbrough and it happened again today. I have to say I'm sorry, I was talking to an assistant and he told me in Britain we [don't] do that. But I've arrived here and I love this country and I love the football. Last year I was coaching in the Champions League and now I'm in the Championship and I'm very proud of what I'm doing. "I want to be a gentleman to all the managers, I'm sorry to [Middlesbrough boss] Tony Pulis and I'm very sorry to Neil Warnock. It was not my intention to be disrespectful but it's very difficult in the last minute when there is a penalty and your goalkeeper [saves it], you have to celebrate, I'm being honest. Once again I'm sorry and I'll try to avoid it. I'll go to his office now and if he gives me a moment I'll try to explain it." Neil Warnock: "I don't accept it at all and I think it's totally out of order. I think he was a total disgrace, I used strong words and I meant every one of them. He's got to learn that in British football you have manners and a bit of class when you've won a game. You've got to learn that I'm afraid. "I don't think I'll go into my office until after he's gone. I don't want to se him tonight if I'm honest. I thought it was a great game and it didn't need to end like that." The relentless fixture schedule continues for both sides with midweek games live on Sky Sports Football. Cardiff travel to Aston Villa on Tuesday night and Wolves host Derby on Wednesday night.